I love roasting vegetables and usually I just season them with salt and pepper. I started adding the EBTB seasoning and it adds such a great flavor! This is a go to for Dustin and I during the week and I love that I found something to spice it up. These bagels are SO easy and so yummy! 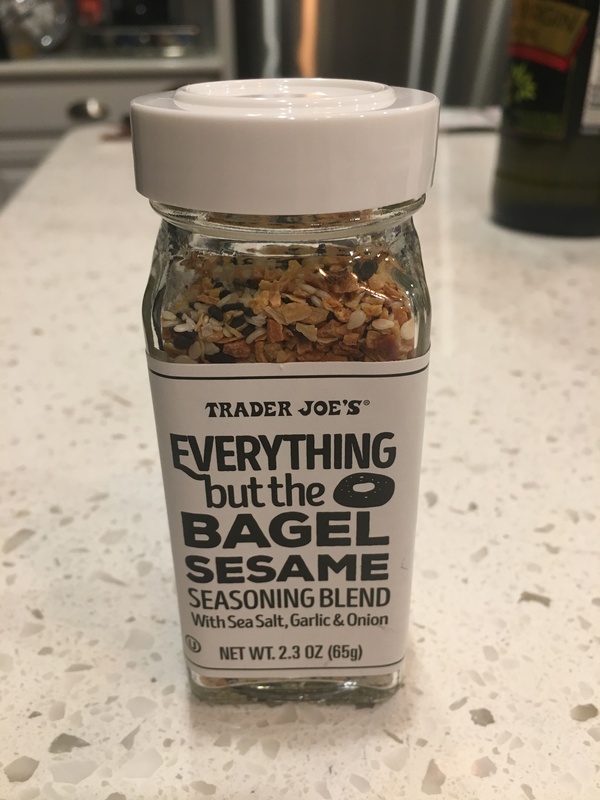 I am a sucker for everything bagels, but don’t eat them very often because of calories and convenience. These “skinny” bagels are a perfect substitute and are great for egg sandwiches! I make salads at home weekly. I never want to get bored with them, so I’m always looking for ways to mix it up. I got this idea from Chrissy Teigen’s cookbook, where she makes croutons for her caesar salad. This is seriously so easy and adds tons of flavor and crunch to a salad. These fake fried chicken breasts are so good!! They are super easy to make and the EBTB seasoning adds an extra kick to it. They taste great alone or on top of a salad with homemade croutons as shown above! It’s easy to make this millennial favorite right at home and not miss any of the flavor. My mouth is watering just thinking about it! This is a protein packed breakfast that is so delicious. I hope you like these ideas! I’d love to hear what you guy are using your EBTB on!